Washington, D.C. – The International Code Council is hosting its 2019 Committee Action Hearings from April 28 to May 8, 2019, in Albuquerque, New Mexico. Hearing participants will address potential changes to the International Codes (I-Codes) based on proposals from the building safety community, including code officials, architects, builders, engineers, and fire and energy conservation professionals, among others. The I-Codes are the most widely used and adopted set of modern building safety codes; they protect against fires, weather-related events, structural collapse and other disasters. 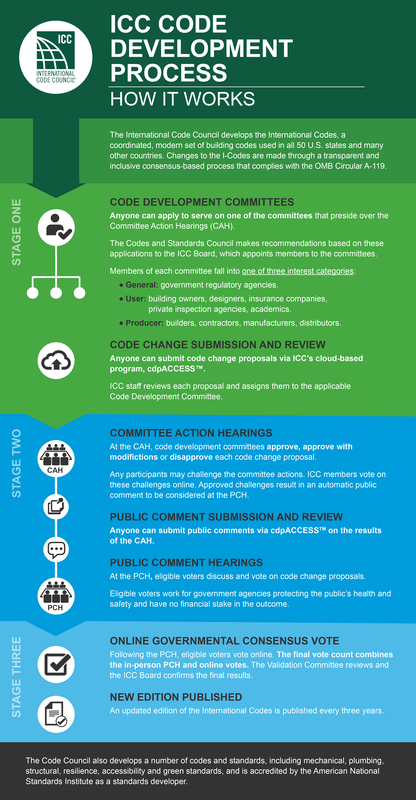 The Code Council code development process is transparent, accessible and inclusive, and all interested parties are encouraged to participate in the development of the 2021 I-Codes. The April hearings cover the Group B I-Codes. Group B includes administrative chapters for the I-Codes as well as updates to currently referenced standards; structural provisions in the International Building Code; the International Existing Building Code; the International Energy Conservation Code (commercial and residential); the building and energy provisions in the International Residential Code; and Chapter 1 of the International Green Construction Code. The 2019 Group B proposed code changes are now available along with the hearing schedule. Proponents of code changes are strongly encouraged to view their proposals for accuracy and bring any discrepancies to the attention of Code Council staff by Wednesday, March 27, for inclusion in the 2019 update document scheduled to post in early April. To register for the April Committee Action Hearings, visit www.iccsafe.org/springhearings. A live video feed will be available online for those who cannot attend the hearings in person. 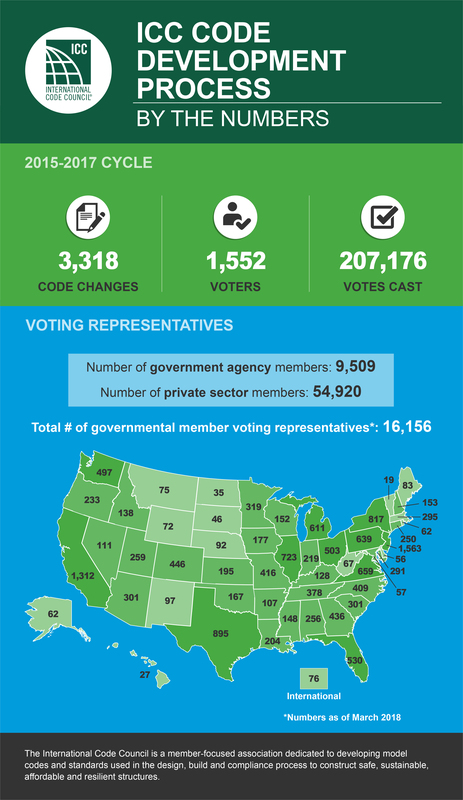 Download infographics about the process: How It Works and By the Numbers. For more information about the code development process, click here. Join the conversation on social media using #2019codehearings.